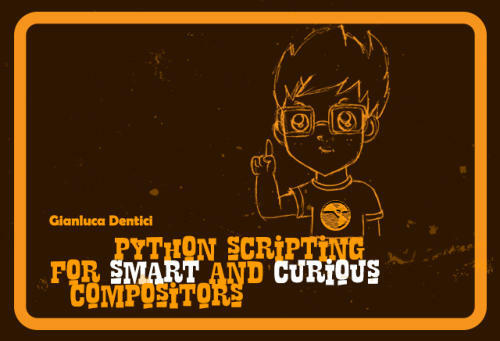 When I first started peeking into Python scripting I was surprise with the amount of free python books available online but soon I realised that studying python scripting per se woukd have been certainly very interesting but how could I translate that to proper nuke python snippets for my daily compositing needs ? Browsing online many great colleagues wrote their own pages packed with tons of python snippets absolutely useful, but the point is: do we really understand what those lines of code mean at all ? would we be able to write our own snippets ? So the idea to share what I have learned comes from this thought. This page hosts just a few lessons on Python scripting, just essentials, you don’t need to become a nerd to cook up some interesting snippet for you work! LESSON 1 - download it here! LESSON 2 - download it here! LESSON 3 - download it here! LESSON 4 - download it here! LESSON 5 - download it here! LESSON 6 - download it here!